configuring a modem or router step by step. This guide is written in simple steps, so don't worry. 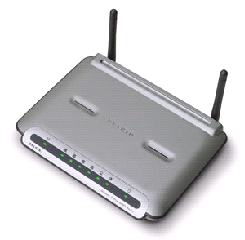 First,install your modem or router at a suitable place so that you will get a proper signal. Ideally, modem or router should be placed at flat surface and its range extends to 150 yards all around the modem and router. In a case of multifloor building, modem or router should be install at ground floor ,not at first floor as signal strength drops on height. After installing modem / router , switch on your modem / router. Now , your modem is well installed, you will want to connect your internet modem to your router. Some models like Belkin N series , Cisco N series are combination of a router and a modem, if you are using combo of modem and router , you can skip 2 and 3 steps . Now, If you need connect your modem to your router, then you need an Ethernet cable for this purpose but USB cable provide a better high speed connection. Just plug it into jack,labeled as WAN, Internet, or Uplink. Now your modem to router setup complete, proceed to next step. Desktop) to the router via RJ-45 Ethernet Cable (google it to identify cable). Ethernet cable is a thick cable with two identicle ends comes with every moden or router. In case of first time setup, i suggest you to plug-in cable for reliable connection otherwise you can use wireless to connect of your device to router. Now, physical setup is complete. We need to configure modem or router software. Open your Web browser on connected laptop or computer. Then enter the " http://192.168.1.1 "
or " http:// 192.168.0.1 " or http://192.168.2.1 . Try and see which works for you. This is router or modem's control panel address. It will ask you to login. Usually both username and password are 'admin' or you can find your default username and password info in the manual , It requires no internet connection to access control panel. and password as PPPoE. Also, if you have a static IP Address from your provider, you need it to enter it ib static IP address. You can change the default SSID to enhance protection But make sure that your Wireless password must be WPA2-PSK passed. Now, just check all connections and see your modem or router shown on device as connected. Now, just enter www.Google.com and see if Google page is working. If yes, mission accomplished :-) , if not verify steps again.